PDMO Had a Bilateral Discussion with Moody?? 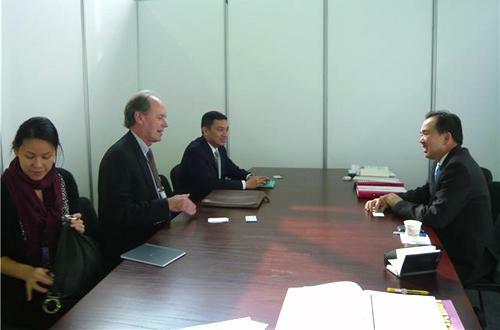 ?s Investors Service, Inc.
Mr. Chackkrit Parapankul, the director general of the Public Debt Management Office (PDMO), had a bilateral discussion with Mr. Tom Byrne, Senior Vice President of Moody?? ?s Investors Service, Inc. at the 43rd Asian Development Bank Annual Meeting on the topic of Thailand?? ?s Economic Condition, at Tashkent, Republic of Uzbekistan, May 1 2010.